There’s no doubt about it, having a disease stinks. Most of the time we use an expression like that figuratively. But what if health care providers could use odor to detect illness in its earliest stages so that adverse medical conditions could be prevented and reversed? Imagine, for example, if Alzheimer’s, Parkinson’s and diabetes could be identified by aromatic biomarkers so that patients could catch these maladies before they progressed too far? Well, in many cases, modern medicine is developing mind-boggling techniques to diagnose illness. Here are five of the strangest. 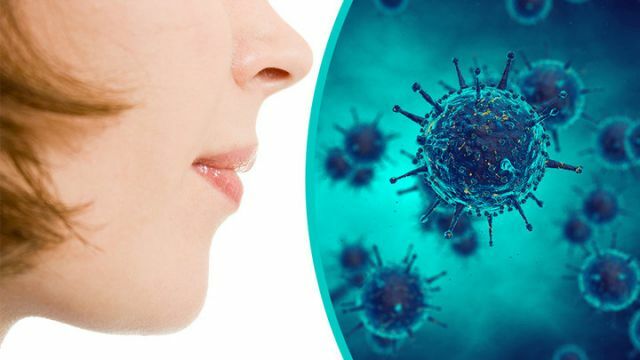 Israeli scientists have developed an electronic nose, which can sniff out biomarkers associated with 19 different diseases. Patients blow into a device that combines chemical receptors and a computer algorithm, which then analyzes the telltale signs of common conditions like multiple sclerosis, irritable bowel syndrome and inflammatory bowel syndrome. Right now, the contraption is accurate about 86 percent of the time, but researchers hope that further refinements will improve the technology even more. Presumably, catching diseases like Parkinson’s and diabetes will allow doctors to prescribe lifestyle changes and medications to slow their progression. Joy Milne has a remarkable talent for identifying illnesses by smell. For instance, she correctly deduced that her husband had Parkinson’s from the “woody, musky odor” that she picked up from his clothes. A researcher, Dr. Tilo Kunath, subsequently investigated her ability and found that Joy was able to identify Parkinson’s patients 100 percent of the time simply by smelling their clothing. Early detection is especially critical for people with Parkinson’s since early intervention with a neuroprotective diet and movement therapy can greatly retard the progression of the disease. Pooches have a highly developed sense of smell. How sharp is it? Well, humans have evolved five million olfactory receptors, but dogs have 220 million of these cells for detecting and discriminating odors. No wonder, then, that scientists are training canines to recognize volatile organic compounds, which are biomarkers released by tumors. According to a 2006 study, several highly-trained pooches were able to identify both breast and lung cancer with remarkable accuracy simply by sniffing a person’s breath. Doctors have long used devices in their office to measure nitric oxide in the breath of patients with asthma. This biomarker is released from inflamed airways and its presence helps doctors and patients have advanced warning of attacks. It can also reveal how well particular medications are working. In the future, medical experts expect that patients will be able to plug portable sensors into their cellphones, which will use an app to measure the nitrous oxide. Scientists have been using odors to detect illness, but it appears that a diminished capacity to distinguish scents may be a symptom of cognitive degeneration. For instance, researchers have recently discovered that people who have greater trouble identifying smells in scratch-and-sniff tests are more likely to develop Alzheimer’s. According to Marie-Elyse Lafaille-Magnan, a Ph.D. student at McGill University, “This [study] is the first time that anyone has been able to show clearly that the loss of the ability to identify smells is correlated with biological markers indicating the advance of the [Alzheimer’s. ]” As you can see, the idea that you can you can use odor to detect disease is nothing to sniff at. Hey Buddy!, I found this information for you: "This Electronic Nose Can Detect 19 Diseases From Your Breath". Here is the website link: https://www.thealternativedaily.com/5-strange-ways-of-detecting-illnesses-through-bodily-odors/. Thank you.